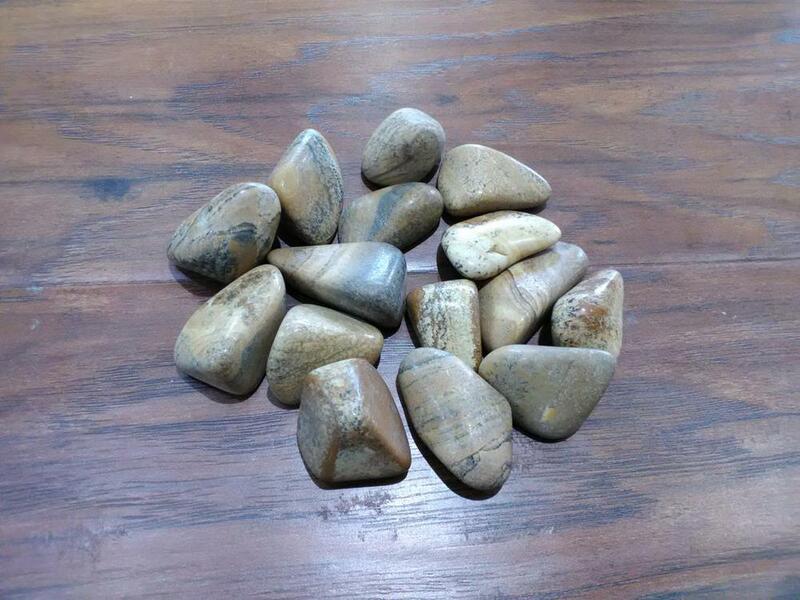 Picture-Jasper is an opaque stone of the microcrystalline Quartz variety. The colors are because of its high iron content and the level of minerals and impurities present in the stone. This stone can show very detailed images on its surface that look very much like scenes or pictures! Picture Jasper can be used to quit smoking by staring into the pictures during a craving, thus causing you to relax and move on. Picture Jasper keeps the immune system healthy, alleviates skin disorders and is helpful for lung disorders and allergies. Stone Sizes Range From - 3/4" - 1 3/4"